checklist is your guide to ensure you’re putting your best foot forward with your loyalty program. Loyalty programs are rich repositories for customer data. From loyalty engagement statistics to purchase metrics such as RFM data to demographic and social graph data, your loyalty program is the prime place to combine and utilize customer information. You can combine your customer data in a multitude of ways to build targeted and impactful Customer Loyalty. 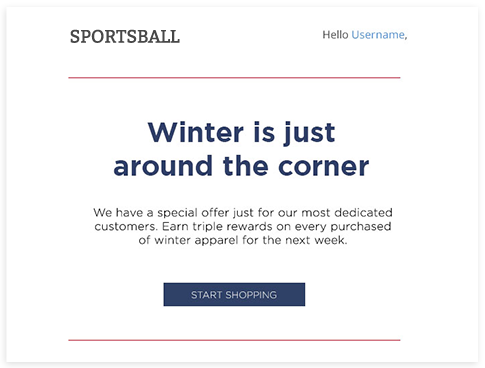 Campaign: Boost purchases among even your highest spenders with campaigns tailored to their needs. Campaign: Re-engage customers who are on the cusp of churning. And if you need more convincing- according to GI Insight Survey, only 27% of consumers believe that brands are analyzing their needs and providing them with relevant offers. To learn more about integrating customer data into your loyalty program, check out our Advocate Loyalty: A Four-Point Strategy white paper. As loyalty programs have become more and more pervasive among retail brands, many programs run the risk of looking very similar to that of their competitors. Not only is this boring for customers, it also deters brand loyalty as customers can find the same benefits in your program as they do in your competitors. Offering customers a truly unique loyalty program is key to building engagement and cultivating true brand loyalty. Luckily, there are numerous ways to do just that. 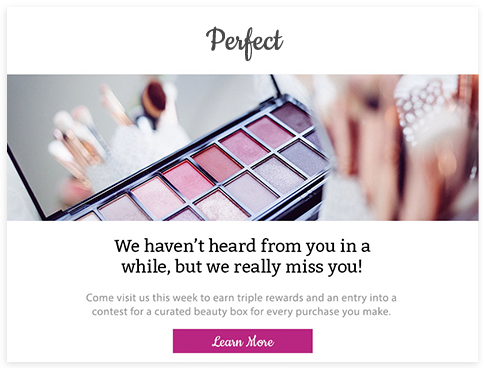 Create a tiered loyalty program: Tiers give you a way to make your most dedicated customers feel special. Offer Special Brand-Centric Rewards: Specialized rewards tailored to your brand not only boost brand resonance among customers, they are also hard for your competitors to copy. Build in Surprise and Delight Rewards: Give your customers surprise rewards just for being members, it shows you appreciate them and offers a quick and exciting reminder to earn and redeem more rewards. Customers see value when they spend points, not when they earn them. Generally, people are positively motivated when they are given a reward for their actions. That’s why it’s important to start offering customers tangible rewards quickly. This could take multiple forms depending on the nature of your loyalty program. Make the First Tier Easily Accessible: If your program is tiered, make it relatively easy for customers to reach the first tier to start earning rewards. If it takes too long or too many purchases to reach the first tier customers will lose interest and forget about your program. Surprise and Delight New Loyalty Members: Offer your new members surprise and delight points to keep them excited and motivated to reach their first reward. Consumers are now using more touchpoints than ever when purchasing. Today customers connect through an average of 6 touchpoints when buying, compared to only 2 touch points 15 years ago. 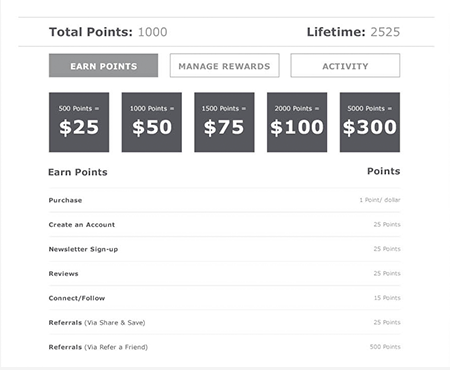 It is important to make your loyalty program platform agnostic and empower customers to collect and redeem points through any platform they make purchases or engage with your brand on. This means integrating your loyalty program into your POS system, adding it to your app, seamlessly linking it into your ecommerce platform, incorporating it into your customer service process, and combining seamlessly with your social media strategy. As loyalty programs have matured, the benefits have grown beyond simply increasing customer repeat purchase rate and lifetime value. If implemented properly, loyalty programs can increase the visibility of your brand. By adding referral opportunities, chances to write reviews, and incentives for sharing pictures to your loyalty program you motivate customers to become deeply engaged with your brand and spread their love for your brand across their social networks. If you can't measure it, you can’t manage it. Create a robust reporting system where you can keep an eye on real-time happenings of the program. You must know how many points have been collected and redeemed, by whom and how, and what ROI the program has generated. Deep rooted metrics are key to optimizing every element of your loyalty program from the rewards you offer to the campaigns you run.